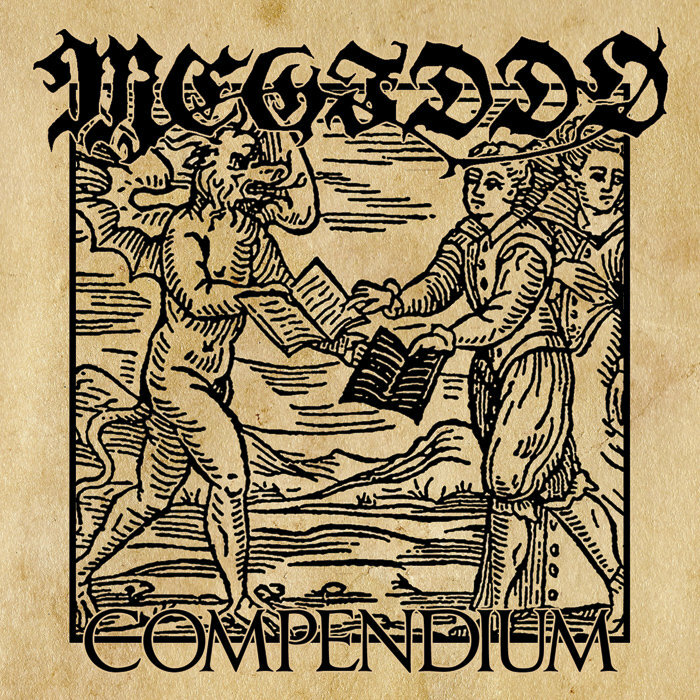 MEGIDDO "Compendium" CD (WRATH073) -- The veils between the worlds of life and death grow thin at this time of the year and the dead prepare to cross over and dance in the land of the living... The time is right for the long awaited follow-up to "The Final War", collecting all remaining non-album recordings, all the way up to "The Holocaust Messiah". Released in October 2015 CE.